Board games teach us a lot. Many of the lessons are social in nature, like waiting your turn, working on a team, and being a good winner and loser. However, directly or indirectly, games can teach us a whole lot more than we realize. There are wide ranging pieces of information that can be placed within the theme or mechanics of the game. In a sense, board games are like a classroom specializing in one or more subjects. For this week’s CMON Feature Friday, we decided to look at some of the topics that board games can teach us about. Check out the list and see if you agree. This is an easy one. Games teach us about the world we live in. Countless titles are based on actual locations around the globe, and numerous boards depict maps of cities, countries, or regions that may be entirely new to the people playing them. There’s not always full accuracy in their representations, but board games can introduce people to parts of the world they may never hear about otherwise. Furthermore, games can teach about the cultures of different parts of the world. There is always a risk of turning a culture into a stereotype, but when done appropriately, we can learn about the people and customs from different regions. From war games recreating historical battles, to games about world exploration, to games set in specific time periods, we can learn a lot about our shared history through board games. When using games as a teaching tool, it’s important to ensure that liberties have not been taken with the facts. But games can deliver a powerful message about the ways things happened in the past. If you consider games like The Grizzled or Freedom: The Underground Railroad, these are engaging, challenging experiences with a message for those that play them. Games don’t even have to be set in the real world to teach a lesson about history. We can learn about ancient mythologies or beliefs through historically-set games. They are an excellent tool to form insights into our past. 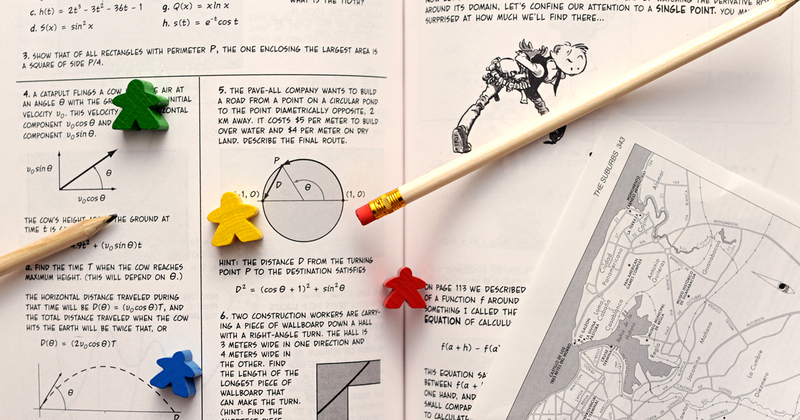 Math shows up in a lot of different ways in board games. Just like in life, it’s very applicable to many situations we come across. One of the most common mechanics to use math is the auction mechanic. Players are forced to assess the value of an item or a group of items and decide what it’s worth to them. They’ll also have to decide what it might be worth to other players. Math also comes up in investment games, where players might buy stock or shares in the hopes of it paying dividends down the road. If you’re like me, you were never too big a fan of math when growing up, but if you put some simple mathematic principles in the context of a game, I’m happy to mull over the best possible strategy. Now, this comes into play more in the practical sense, as opposed to academic learning, but dexterity games can contribute to our understanding of physics. The classic dexterity game Jenga, is a great tool for teaching the rule of gravity, but there are others that that teach powers, angles, wind resistance, and more. Monstrous is a game set in ancient Greece where players take on the role of an ancient god tossing mythical creatures onto various locations. The more you can master your throws, the better you will become at hitting your target. In 75 Gnom’ Street, players must break ties throughout the game by using a catapult to launch a Gnome token. The closer they get to the target, the better they do. Knowing how much power and strength to employ comes in handy. There are a number of games out there, from Dream On, to Snake Oil, to Who Would Win, that call on our abilities to speak convincingly and compellingly to an audience. For many people, this is a major nightmare. The idea of being the center of attention of a group of people and having to essentially perform for them is a real challenge. Being able to tackle their fear of public speaking in a board game, rather than a board room, can be exceptionally beneficial and educational for people. They can become practised at hearing their own voice and clearly sharing ideas in a low-stakes environment. These are just a few of the different subjects that we can learn about through playing board games. You could also include art, creative writing, science, environmental studies, and more. What have board games taught you over the years? What is your favorite lesson learned from the hobby? Reach out to us on Facebook and Twitter using the hashtag #CMONFeautreFriday to let us know.